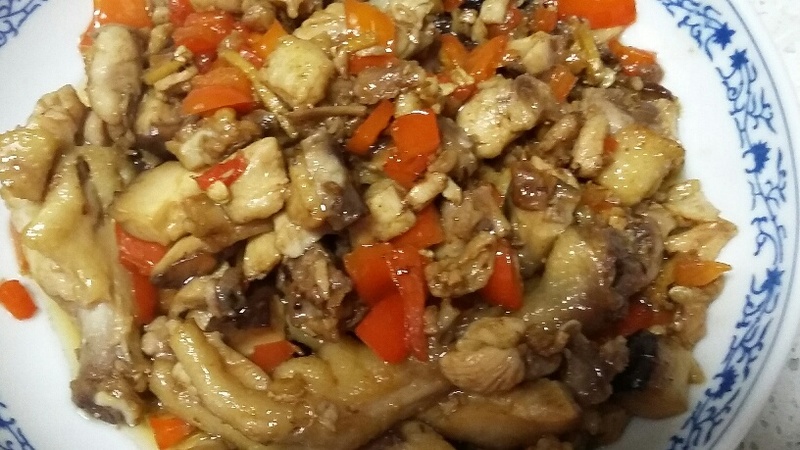 Dry- Wok Chicken is one of the most famous Hunanese dishes. It’s basically spicy stir- fried chicken with veggies. The name of the dish is Dry-wok chicken, but any poultry will work. Heat oil in a wok on high heat and stir fry the chicken with salt. After about 5 min, add in the pepper and ginger. Continue stir- frying for another 5 min or so then add the mushroom and stir- fry for 5 more minutes. If there is too much liquid, reduce heat, add a teaspoon of cornstarch and cook for 2-3 more minutes. Serve and enjoy!!! !